Hey Yall, the All Africa Music Awards, AFRIMA, in partnership with African Union Commission, has extended the call for entries for the 2014 edition by two weeks, from July 7 to July 21, 2014. Submission of entries for the continental award project aimed at showcasing the culture of Africa and rewarding the music talents, had opened on May 15, 2014 and closed on July 5, 2014. 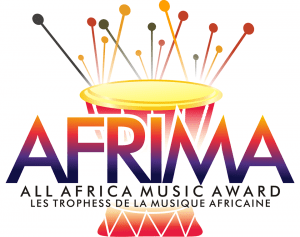 Going by the enthusiastic response of African music professionals who have flooded the AFRIMA website with entries from across the continent and from Africans in the Diaspora, the International Committee of AFRIMA was under pressure from the African music industry to extend the closing date to accommodate the late entrants who are eager to be part of the award process. Entries will close on Monday, July 21 at 12.00 a.m. UTC (Universal Time Coordinated). The entry guidelines remain as before on AFRIMA website: www.afrima.org. Format of submission: Entries should be done by completing the registration form on AFRIMA website and other AFRIMA social media platforms namely Twitter: @AFRIMAWARDS and Facebook: www.facebook.com/AFRIMA2014. Next Why I think Love and Hip Hop Atlanta Should be cancelled.